It would be natural to assume that a ‘comprehensive review’ of a major infrastructure project would involve listening to experts and acting on their advice. And when faced with reactions by scientific, economic, environmental and security experts – which have risen to a crescendo in recent months – you would expect a government to sit up and take notice. All the advice has been clear: Hinkley is economically illiterate, technically flawed, environmentally risky and a threat to our national security. Yet despite the deafening protestations, the ‘review’ concludes that the deal should go ahead. But we need to understand we are now living in post-Brexit Britain, where the government turns its back on experts in the name of political expediency. Having snubbed our European partners in an imperfect referendum, the government clearly believes it cannot afford to offend the Chinese. This is what lies at the heart of the decision to proceed with a giant white elephant that will be the most expensive object on earth. In a desperate attempt to demonstrate that Brexit Britain is open for business, the government is engaged in a national kowtow exercise, handing over our energy infrastructure to a company controlled by the Chinese Communist Party together with a corporation 85 per cent owned by the French state. The so called ‘conditions’, the government have supposedly attached to the deal demonstrate what an empty sham the review exercise was. George Osborne has acknowledged there is no significant change to the deal he struck up as chancellor. The government have agreed to introduce greater scrutiny of future deals to protect national security, but that leaves Hinkley completely unaffected. It remains the same unprecedented waste of public money it always was. As well as guaranteeing EDF the outrageously high strike rate of £92.50 per megawatt hour — twice the current wholesale price for electricity — nuclear power enjoys fantastic subsidies. It pays nothing for its liability, decommissioning or waste management. Factor in these costs and it begins to look hugely uncompetitive compared to renewable sources, particularly wind and solar where costs are in sharp decline. So consumers and businesses will be forced to pay the price for what the government is effectively acknowledging is a massive error in our approach to the ownership and control of critical infrastructure. So is this the end of the Hinkley saga? I don’t believe so. 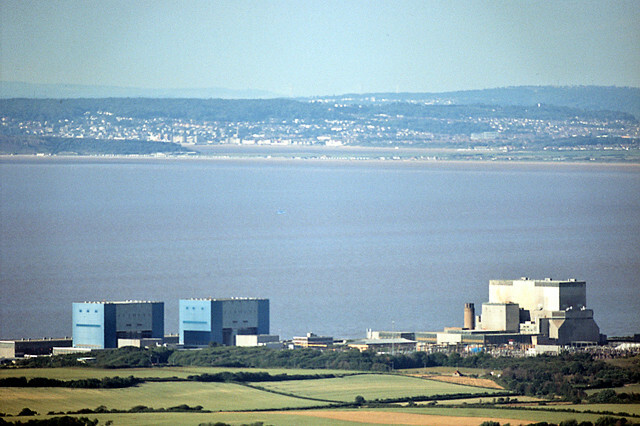 In addition to on-going technical and safety fears around the reactor design being used for Hinkley, cash-strapped EDF has received a bailout from the French government in the form of recapitalisation – restructuring the company’s debt – and an agreement to waiver dividends for the next three years. These measures are equivalent to a €7bn subsidy. Greens in the European Parliament believe that such a bailout amounts to illegal state aid under EU rules. We have taken up the case with the competition Commissioner, Margrethe Vestager. Her ruling that Apple must pay €13bn in back taxes due to an unfair arrangement with the Irish government, shows she is willing to act to ensure EU rules are observed. I hope she will also conclude that the Hinkley deal involves massive amounts of state aid, in contravention of EU competition rules, and that the project cannot therefore continue. There are also two outstanding legal challenges through the European Court of Justice, one by the Austrian and Luxembourg governments over state subsidies, and one by a consortium of renewable energy companies claiming the subsidy package could give ‘hazardous nuclear technology’ a competitive advantage. Ultimately, what Hinkley demonstrates is that the Conservative government is not taking back control but giving it away. What is needed is a proper ‘comprehensive review’ of our energy policy; one which aims to take power away from corporations and governments and hand it back to people in the form of community owned renewables. Your assertation that the decommissioning costs are not included is incorrect, I’m not sure you have read the contract? Labour’s current energy & climate change policies need an urgent overhaul, they still refer to ‘competition’ as being central to reducing prices. If any CLP wants to understand what could be if we had a Labour Government committed to renewables and the public ownership of energy production invite Alan Simpson (recovering politician ) to talk about the work he is doing on policy delvelopment. The examples of what is happening in Germany & Scandinavian countries certainly convinced me that we should be campaigning to scrap Hinkley Point and return to the Green economy.